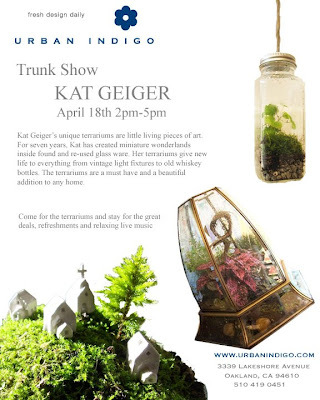 Check out this stunning trunk show by Kat Geiger, as featured at designspunk.com They are amazing terrariums and I sure wish I could attend the show. If only I were up in the Oakland area! I love that middle one. Yes, I agree the middle one looks great!